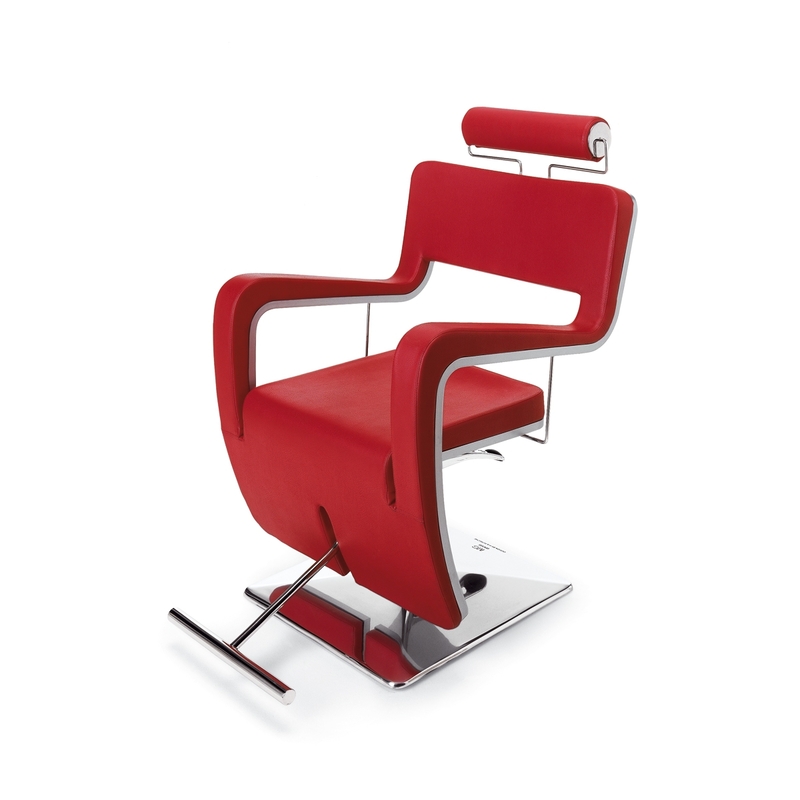 Swivel barber chair with frame in shaped varnished wood with headrest and footrest. Padded in polyurethane material covered with vinyl. Base in polished aluminum with lockable hydraulic pump. Made in Italy. INTERNATIONAL DESIGN PATENT.